This modern futon sofa sleeper has Euro design that is perfect for any modern room. 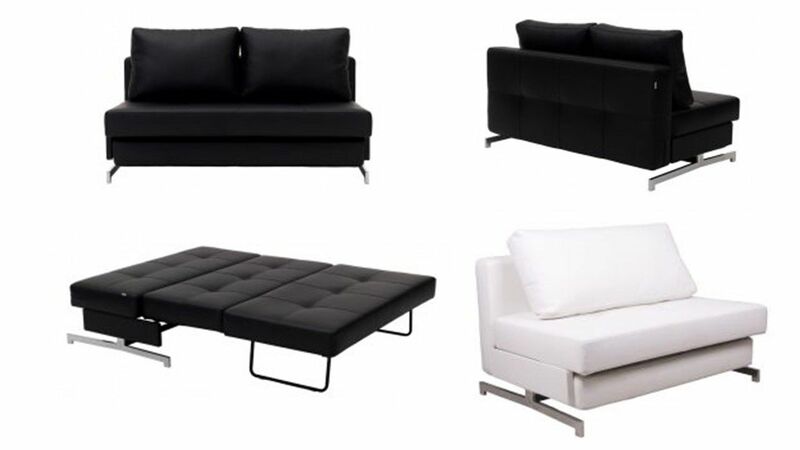 Plush upholstery is contrasted with a steel frame for a space-age style, also available in Black or White Leatherette. The tri-fold mechanism inspired from the tri-fold futons to allow making a comfortable mattress for this unite. Because the sitting surface is the same surface for sleeping the mattress is designed to be firm to provide a comfort sleep, at the same time the back of this futon sofa bed is supported with semi-plush pillow back to add softness to the back.